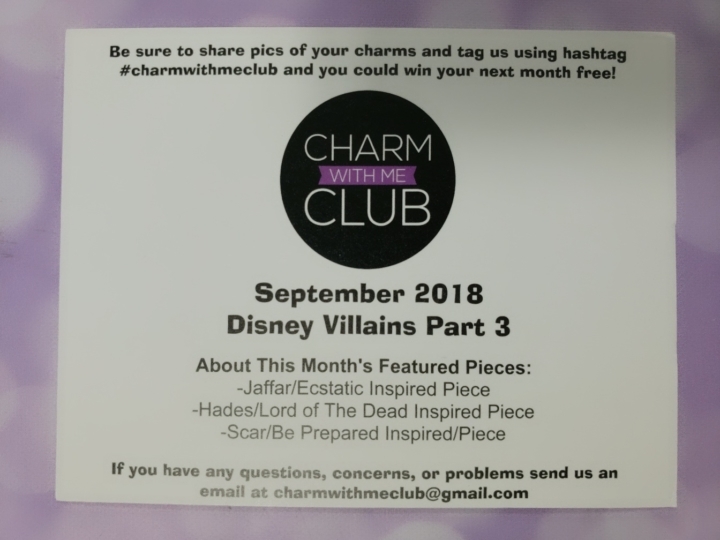 This month we could choose between Charm Club Picks and Disney Villains Part 3! They sent an email for us to select which one we wanted however if someone signed up with your link you and your friend were both sent both collections! 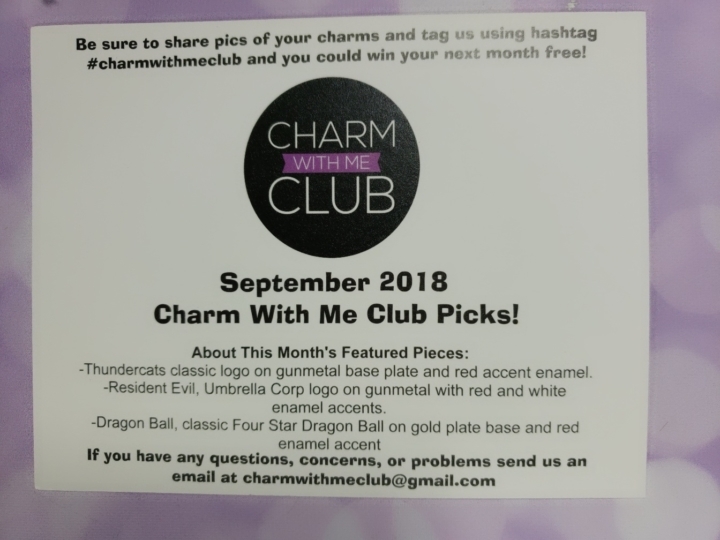 First up this month is the Charm with My Club picks. 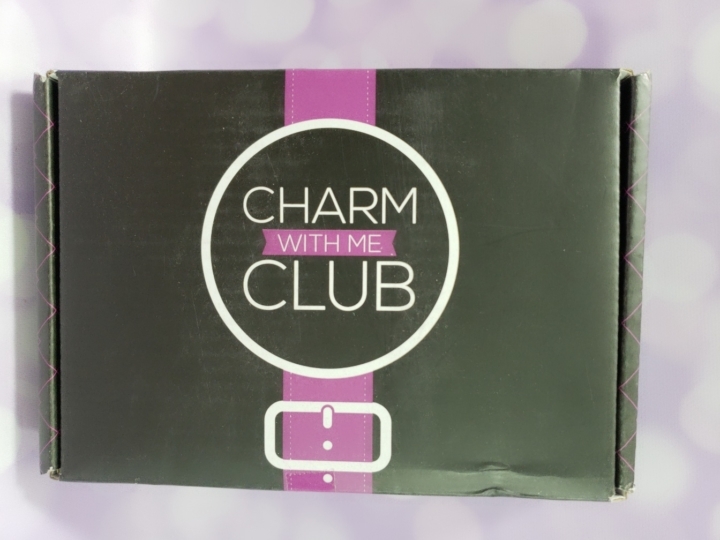 These are some themes that the Charm with me Club loves but they aren’t likely to see their own boxes any time soon. 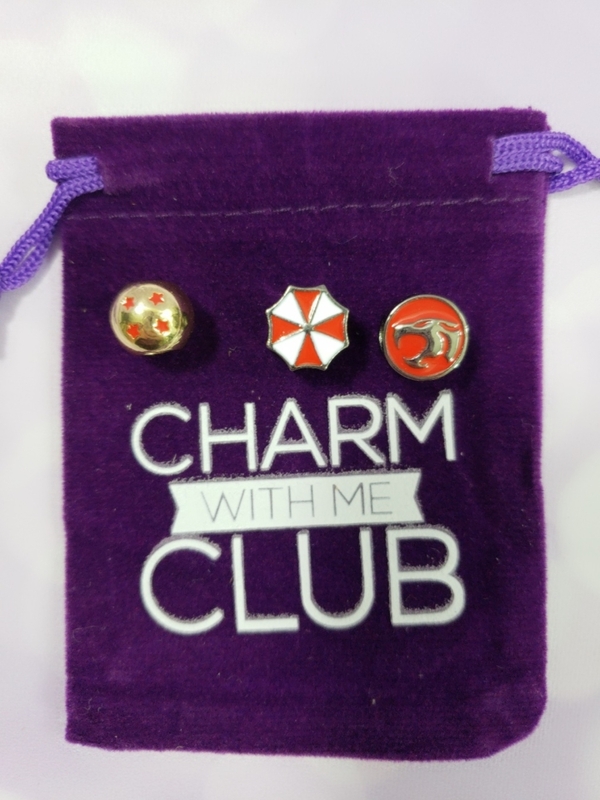 We got three charms for this collection. Thundercats Hoooo! I mean really can you see that logo and not say it? I’m pretty sure that it’s a requirement. We also got a Resident Evil themed umbrella and a Dragon Ball Z Classic Four Star Dragon Ball. I remember my brothers watching Thundercats growing up and I keep hearing they are going to make a movie for it but until then I’ll get to wear my charm and scream! The other theme this month is Disney Villains Part 3. I’m a huge Disney nerd so you know I was dying to see this one. 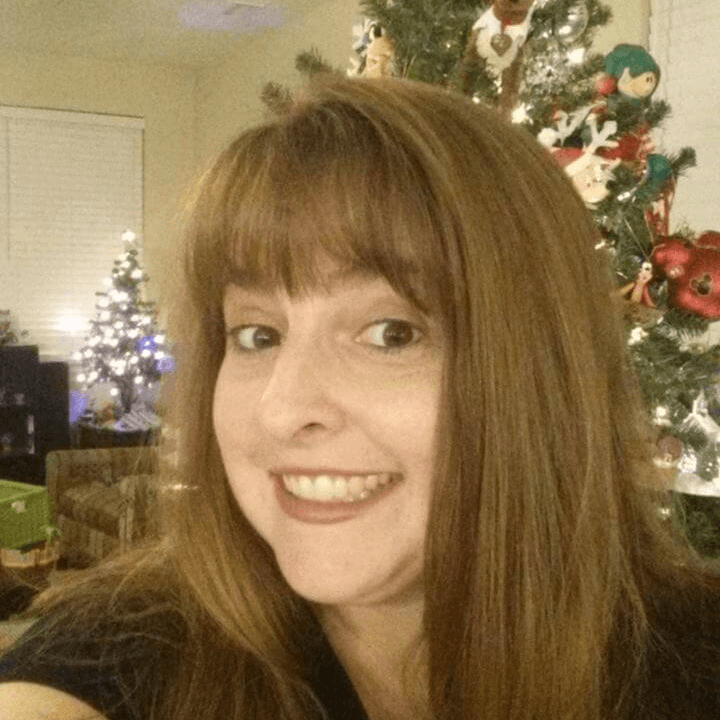 The Villains are always a bit hysterical and while vile they aren’t really bad. Well, not most of the time. 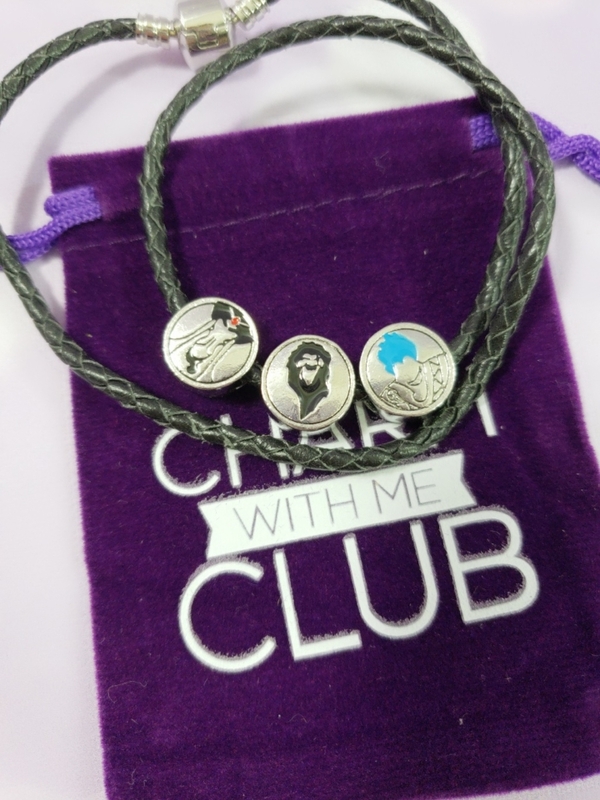 With part 3 we got charms for Jaffar, Hades, and Scar. Aladdin is one of my favorite movies so getting Jaffar makes me very happy. While I love the movie I also think it has something to do with the timing. It was the last movie I saw with my highschool friends and the first one I saw with my college friends. 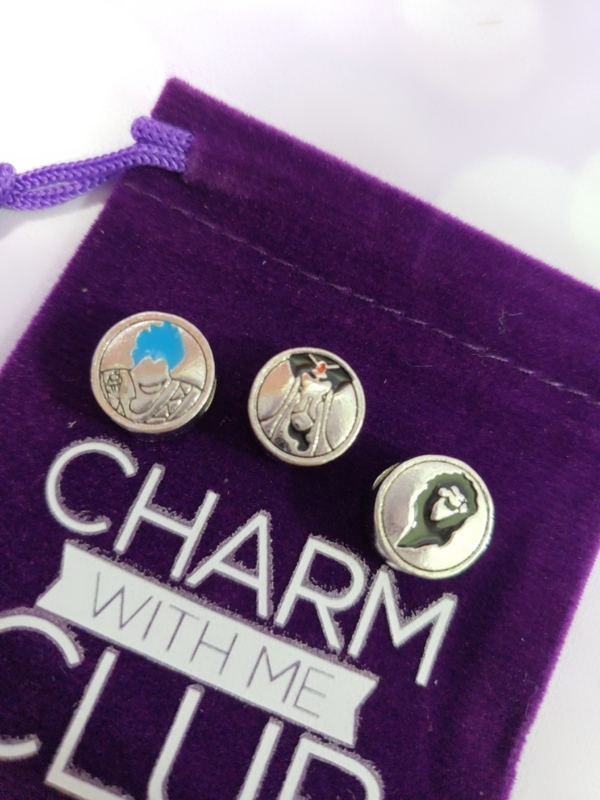 These three charms go along with the look of the previous Disney Villians releases with the image on one side and then a saying on the backside. Perfect sayings for the villains this month: Ecstatic for Jaffar, Lord of the Dead for Hades, and Be Prepared for Scar. Of course, I’m now singing Be Prepared in my head and probably will be for a while. 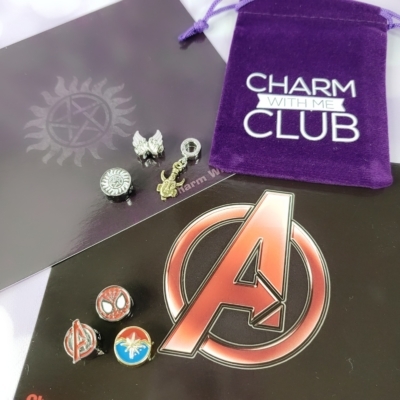 I couldn’t resist pulling out all my villain charms and some of the jeweled charms for a full display. I’m so freakin’ excited for this one and can’t wait to wear it out to my next Disney movie or maybe for a Halloween night out. 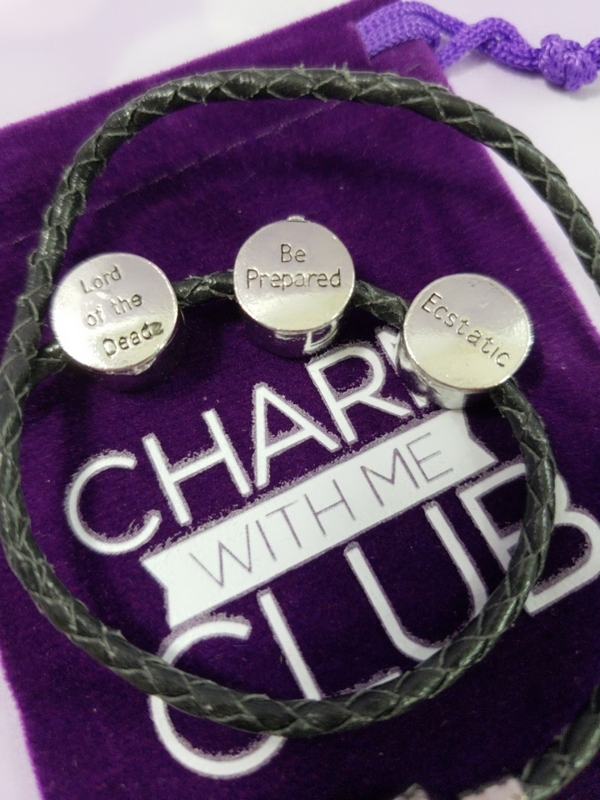 Each of the two Charm With Me Club themes came with three charms this month. They are always so well curated and thought out and go with each item perfectly. 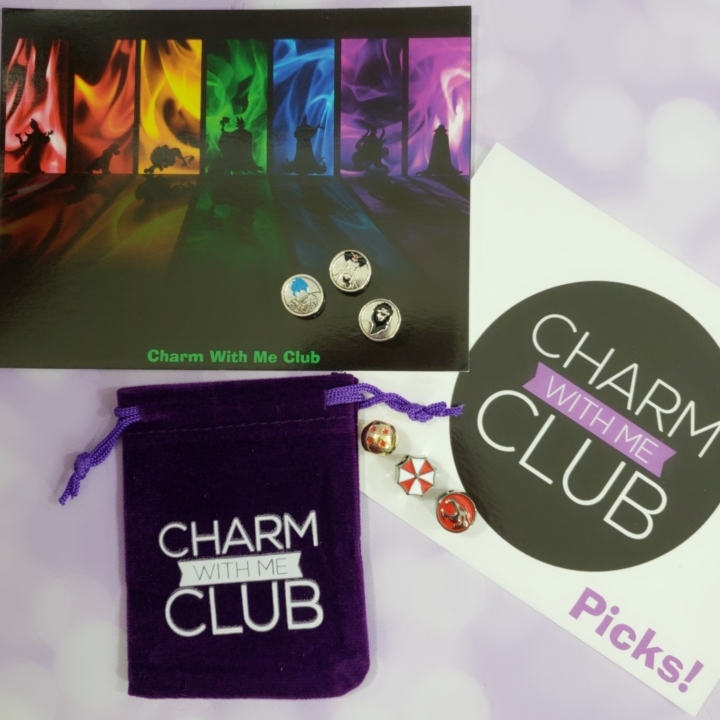 I like the idea of a Charm with me Club theme and included some lesser known fandoms that have fun items but don’t really call for a full box themselves. I’d be up for getting more of these in the future. 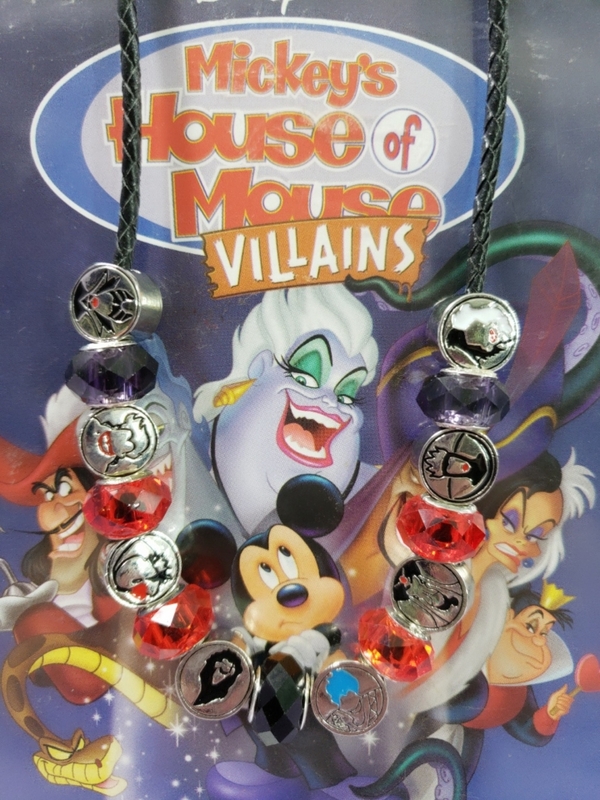 The Disney Villains rocks as always and goes so perfectly with the charms they’ve done with this theme in the past. 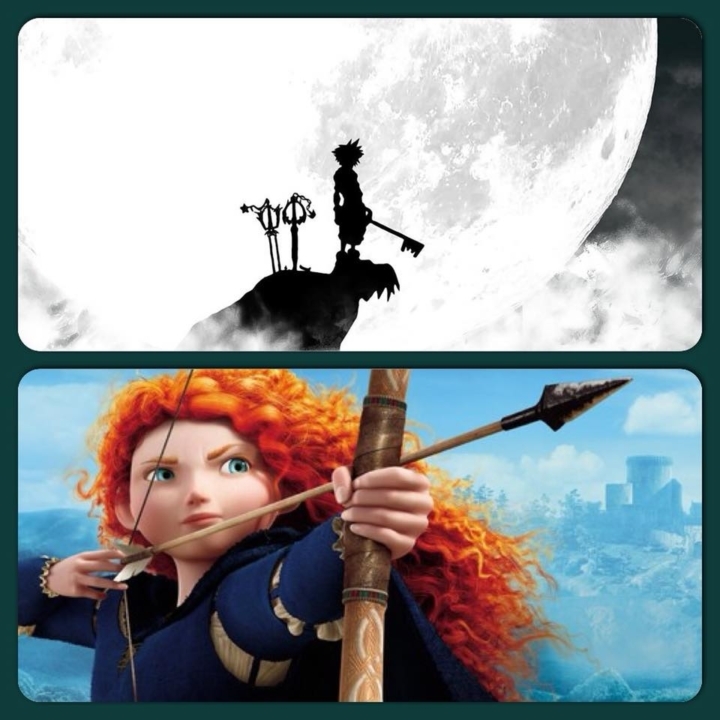 There is another double theme for October you get to choose between Brave and Kingdom Hearts. And again if you refer someone new to the subscription both of you gets both themes. 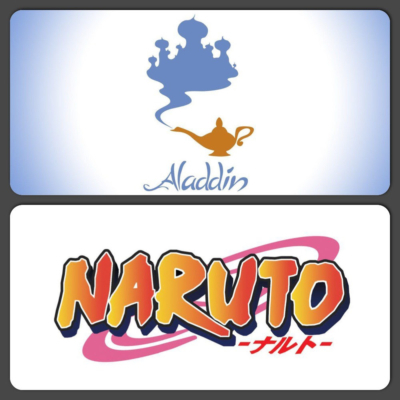 They make it so hard to choose between the themes!